The PAM Awards might not be taking place this year but that has not stopped some of our artistes from not only being nominated but also bringing the awards home. The 10th edition of the Kisima Awards was held yesterday in Nairobi at KICC Tsavo Ballroom and our very own Chameleone was among the winners. 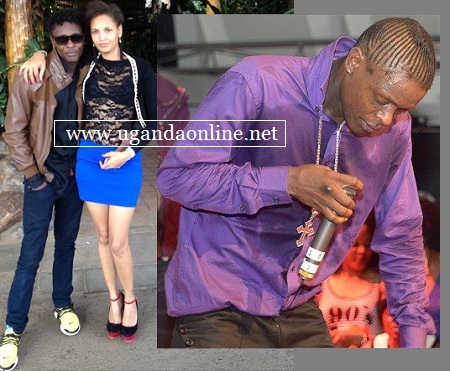 Chameleone might have lost the BEFFTA award to Juliana but he managed to pull this through when he beat TMK, Professor J, Lady Jaydee and Diamond (all from Tanzania) to get the East African Recognition Award through his Valu-Valu hit. Celebrating his win, Chameleone dashed to his wall and thanked his fans: "Thanks all my fans, we live to inspire good music not words we have won...strictly music not wolox!!!!" Others in that category included Jackie Chandiru-'Gold Digger' and a one Dynamiq from South Sudan. Other Ugandans who were nominated in the Kisima Awards were Keko - 'Make You Dance' a track she did with Madtraxx, Juliana and Alicios 'Mpita Njia' under the Collaboration of the year. This was taken by a track 'Gentleman' which was done by P-Unit and Sauti Sol.